Steven (Chicagoland, United States) on 20 May 2010 in Art & Design and Portfolio. I believe in the ideals of democracy and the concept of universal brotherhood. I acknowledge no barriers of country, race, class or creed. I believe it is my privilege and my duty to teach others some of the knowledge and skill that I possess so that they too may know the satisfaction of competence in dealing with illness and pain. To bring comfort to those who are in trouble, to alleviate suffering, and to conserve life is my mission. Wherever disaster calls there I shall go. I ask not for whom, but only where I am needed. 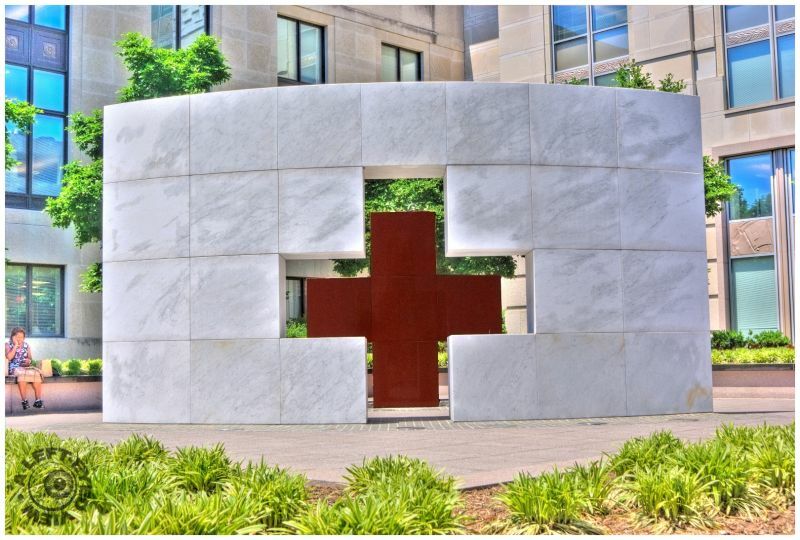 Under the banner of the Red Cross, symbolic of the finest instincts of man, I find fulfillment in helping to animate the spirit of kindness and mercy that embraces the world. Bonjour Steven. Superb composition with a very good framing. Have a lovely day Steven. That is a very nice shot. Red Cross needs our continued support. Did you know it's derived from the Swiss flag? Great shot! Nurses are one of the backbones of health care. I like it for it's cubism although your greens are just.. a touch burnt. A very beautiful shot. It's quite striking. Excellent photo; excellent creed. Impressive together. You really make some great images with that processing. Nice shot ! but doesn't it need some straightening ?